Every marketer on the face of the planet wants to increase their SEO with savvy link building tactics. And for good reason. Just consider that 93% of online experiences start with a search engine. Or that 70% of links that searchers click on are organic rather than paid. Or that leads generated through SEO have an average 14.6% close rate, whereas outbound leads have a 1.7% close rate. Clearly, SEO is well worth your time and money. But it’s one thing to know that. It’s quite another thing to actually build links and increase your SEO. Unfortunately, link building often takes far longer than you’d like it to. I know that probably isn’t what you were hoping to read. You probably were hoping to find that with just a few backlinks, you could start driving traffic, leads, and sales in no time. 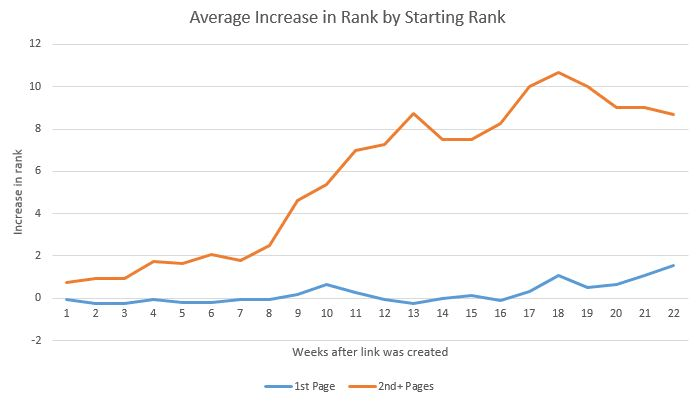 One study from Moz found that it takes an average of ten weeks to see your page jump one position from one backlink. Naturally, though, you’re probably trying to build more than one backlink. More than likely, you’re trying to build hundreds of backlinks to your website. And more backlinks will bring better rankings more quickly. But as you near the top, more factors come into play like click through rate (CTR) based on your title tag and description, UX (user experience) of your website, the content, bounce rate, etc. 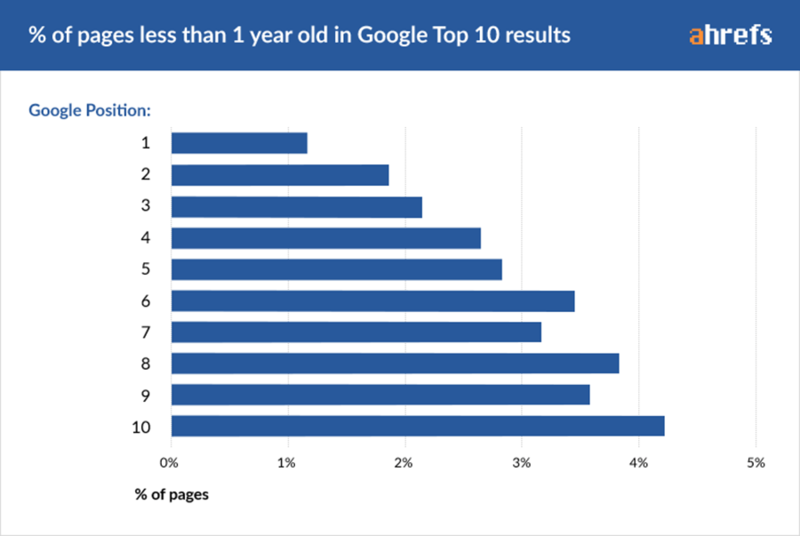 In the case of SEO, the better your rankings, the more competitive those positions become — and thus the harder it is to improve your position. That’s not just true for your rankings, though. It’s also true for your domain authority. 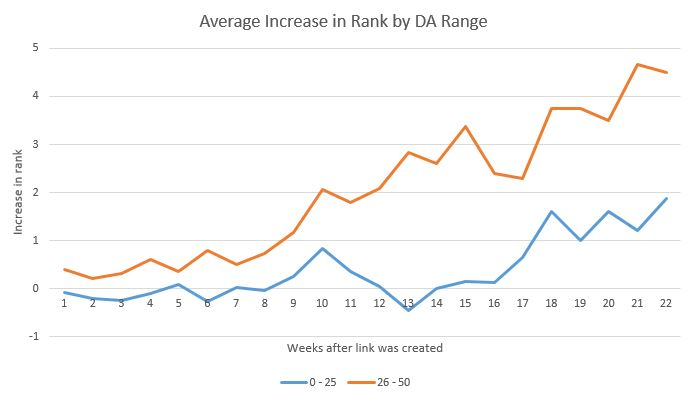 In other words, the longer you work to increase your rankings, the harder it becomes. Unfortunately, seeing the results of your hard work at building links can take quite a lot of time. Generally speaking, the longer a page exists, the better it ranks. 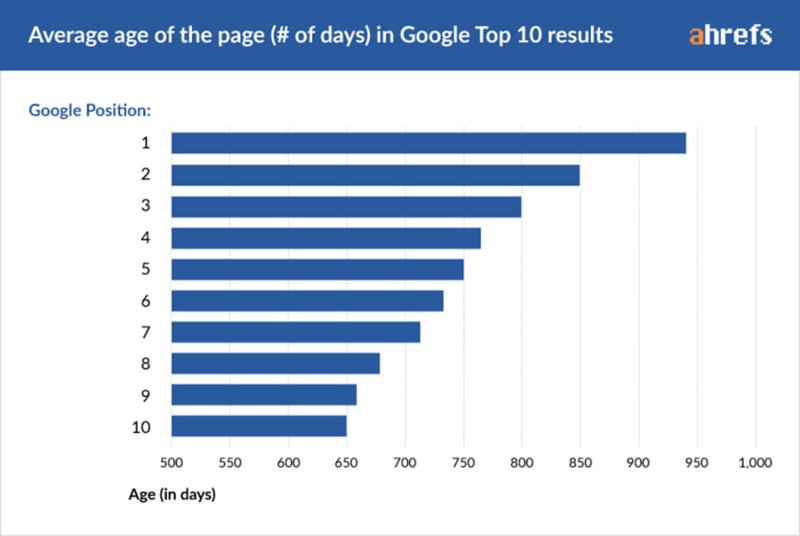 As you can see in the above graph, the average age of a page that ranks number ten is over 650 days. And barely 1% of pages less than a year old fall into position one. Evidently, Google cares about how long your page has existed. And they care a lot. That’s the hard truth that you need to hear. If you don’t have six months to a year of budget to spend on SEO, then spend your money elsewhere. Having said that, though, there are some things you can make sure you’re doing to speed up the process. Now, let’s discuss a few common ways to generate backlinks and the typical timelines you’ll likely encounter from start to backlink acquisition. More than likely, you run internal tests on your customers and clients. Or maybe you help your clients run tests. Whatever the case, if you’re a good marketer, you’re running tests quite regularly. However, did you ever think about how all of the results from those tests might be a goldmine of SEO, link building potential? Perhaps you didn’t. But you should. When another content marketer is looking for valuable information to talk about in their upcoming article, they search around online to find that information. And whenever they want to use information that they find, they legally have to give credit to the place that provided it. And usually, that credit comes in the form of a backlink to the page. This means that if you publish original data on your blog, content marketers might just find it and use it on their own blogs, giving your website extra domain authority. 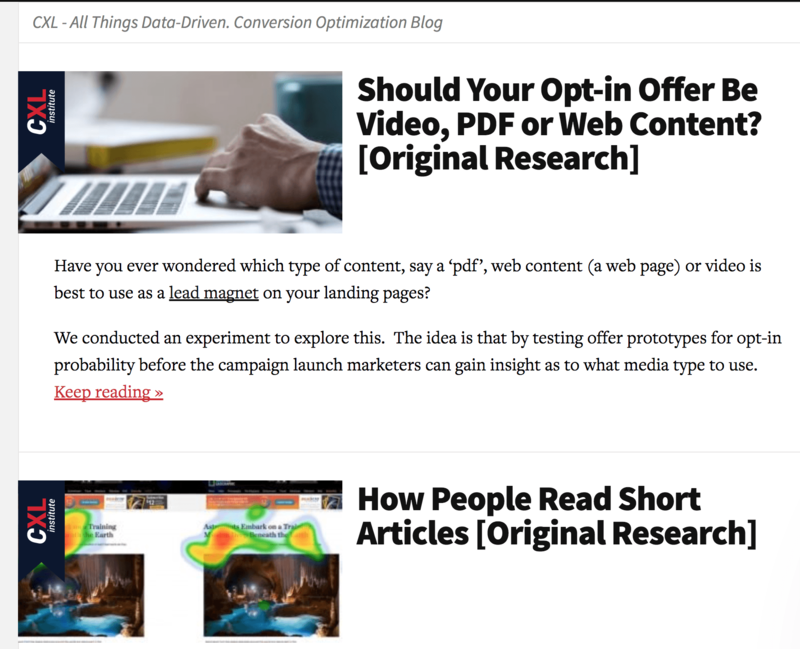 ConversionXL regularly uses this strategy on their website. They also create a lot of images to go along with their results. That way, when someone wants to use their data, they have the option of using an image as well. Again, if someone uses one of their images, they must include a hyperlinked tag to the page they got it from. And voilà! They get a backlink. And they don’t overcomplicate their images. Now whenever someone wants to use their data, they must first give them a backlink. Publishing original data will do more than just generate backlinks for your business, though. It will also establish your website as an authority within your niche. It’s a win for your brand image and a win for your rankings. And the more original data you publish, the more backlinks you’ll receive — which means you increase your rankings faster. Month 1: Study / research design: outlining your topic of study, the method you’ll use to collect data and generating an audience to collect it from. Month 2: Kicking off the study: depending on your methodology, the study can last anywhere from a day to multiple months. 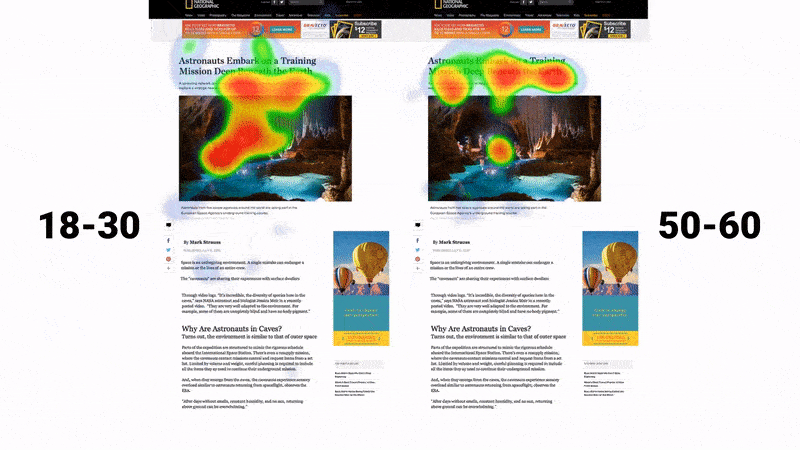 If you are studying effects of something over time, it will last longer than a simple two week A/B test. Month 3: Results and analysis: compiling the data you have collected into readable language for your users. Turning data into numbers and reference points on specific action items. Month 4: Publishing: turning all of that data into paragraphs and images, quotable statistics and more common ways to generate a backlink through referencing. Month 5: Social promotion: promoting your new study with social + ads. Month 6: Backlinks start to slowly generate from referenced articles. This strategy is similar to the last one. If you design and publish an infographic, people might want to share it on their own blogs or even on social media. Both will generate backlinks to your website. What, though, should you create an infographic about? Well, it could really be about anything. You could create an infographic about how to do something that your audience is interested in learning. You could also create a data-driven infographic that publishes original data in a visual format. Or you could create an infographic that’s a culmination of data from other websites. Just be sure to give credit where credit is due at the bottom of the infographic. You can use Venngage, the free infographic maker, to create one whenever you want to. 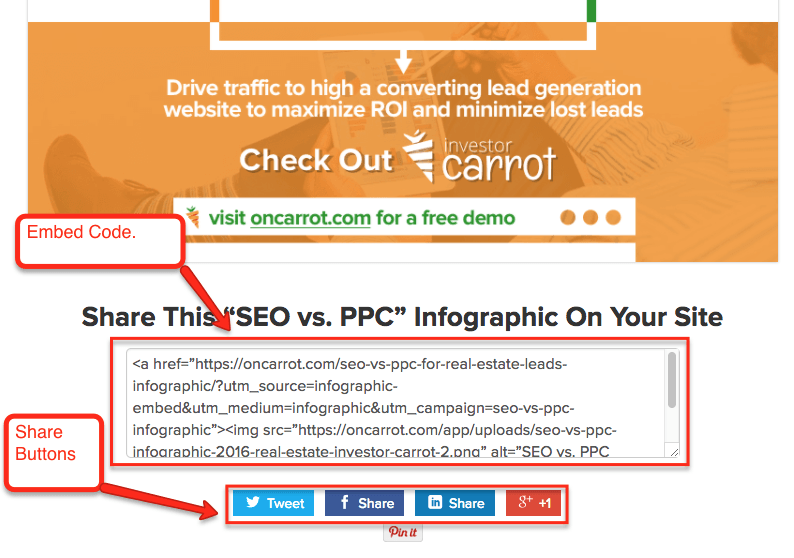 And include social media share buttons and an embed code at the bottom of the infographic to make it easy to share. You might be wondering, though, if people will actually want to share your infographic. And infographics represent the pinnacle of visual content. For that reason, infographics get “liked” and shared on social media three times more often than any other type of content. Currently, Infographics are somewhat saturated. To combat this, simply repurpose case study or original data that you have. If you don’t have any, research the top infographics on your given subject and find ways to make them better. Whether that’s including more content, updating the stats or putting an actionable spin on the numbers. Week 1: Research: researching what your infographic will cover. What topic, style and tone. Any stats, data points or content that needs to accompany it. Weeks 3-5: Development: turning your Infographic into a finished product and making meticulous edits along the way. Weeks 6 & 7: Social promotions: Promoting your infographic on social organically and supplementing with cheap ads. 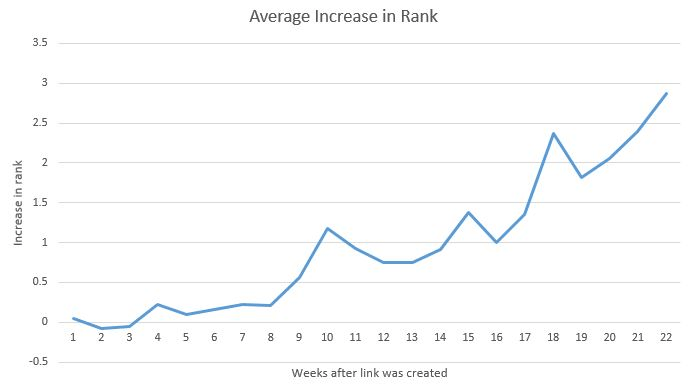 Weeks 8 and beyond: Backlinks start coming in from social and paid campaigns! Maybe you don’t know this. But all of those social media shares that you’ve generated (or not generated) influence your SEO. In fact, each post that you publish can help your website rank. Updating your social media accounts regularly and getting engagement from a larger audience will boost your rankings even more. 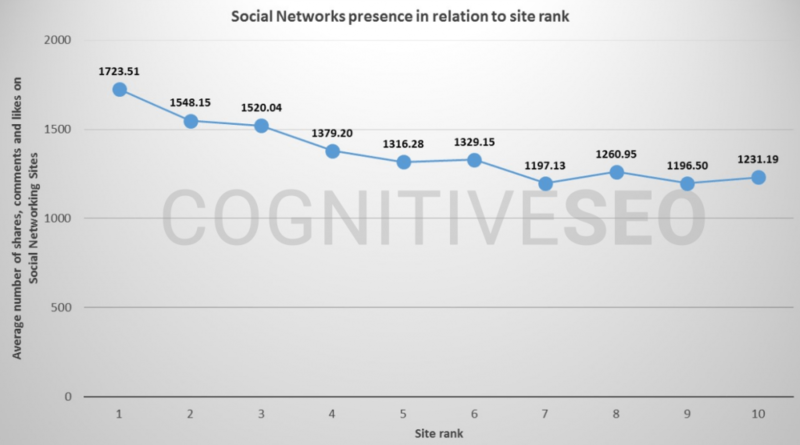 While almost all social media backlinks are nofollow, Google directly takes into account the number of social signals that a website has. Because Google wants to make sure that your website is active and up-to-date. Social media is one way it can determine whether you are … or aren’t. And that’s why there is a direct correlation between how active a business is on social media and how well that businesses website ranks. But don’t think that this needs to be complicated. You don’t need to write a whole new piece of content on social media in order to post regularly. Consider creating a consistent strategy where every time you publish a new blog post or video, you also share it on social media. Marketing guru Neil Patel does this all the time. Here’s a recent blog post he published. He also shared that blog post on Facebook. Here’s what it looks likes on there. 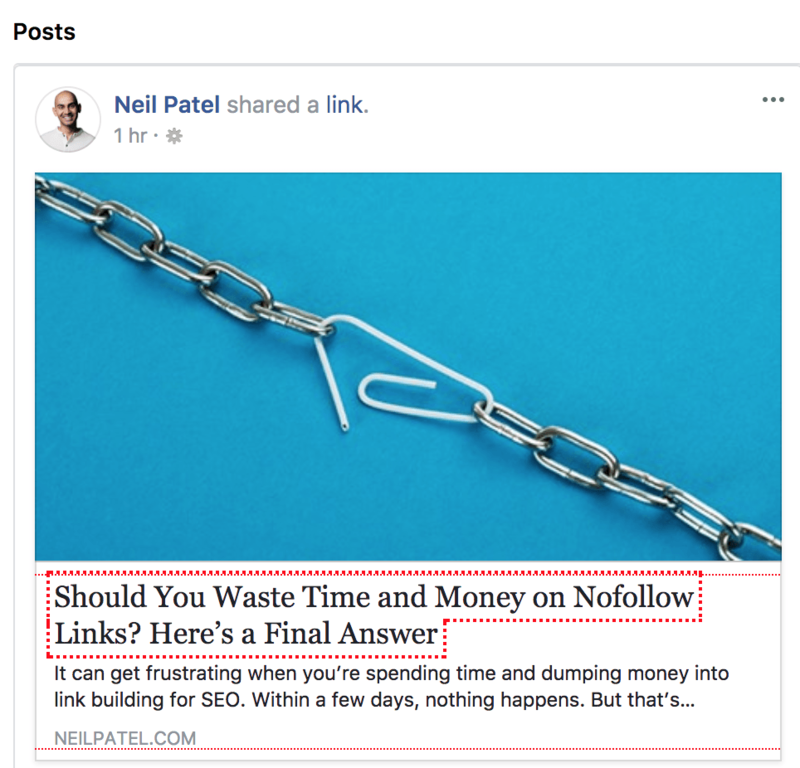 By creating a simple social media sharing strategy around your published content, you’ll quickly build social signal backlinks. It’s an easy way to help your rankings. But you might also want to consider creating a strategy around advertising on social media. Specifically, try to drive traffic to pages that you want to rank better. After all, the more traffic you receive to a page, the better Google will rank it. And social media ads can pour a bit of fuel on the fire of your already-remarkable link building and social media strategy. Week 1: Establishing a strategy: Creating your game plan for social media posting on each channel + any supplementary ads and the budget you will need to set aside. Week 2: Execution: Start putting your strategy into place! Week 3+: Impact: After week three, you should see compounding effects. LIkely, social shares and traffic to your shared content will increase, thereby increasing your chances at building lanks and authority to those pages. Backlinks aren’t all created equal. Loads of different factors affect how prominently a backlink will impact your SEO. Link relevancy, where the link leads, where it’s located on the page, the authority and trust of the domain, the anchor text used, and more can influence the value of a backlink. The anchor text refers to the words used to link back to a website. Studies still show anchor text is highly relevant, however it’s also one of the main factors can lead to penalties when exact match anchors are overused. When you get anchor text links, it gives context to what the page that your linking to is about. 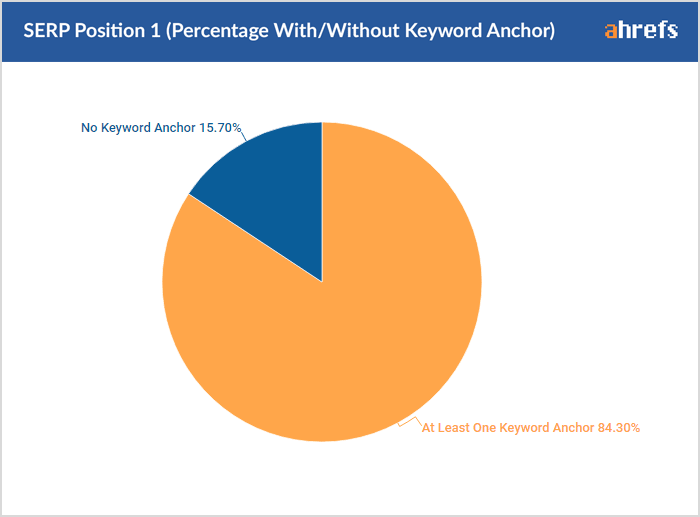 In fact, 84% of position one Google results have at least one keyword anchor leading to their page. Often, striving for relevant anchor text is a simple change you can make that can have a potentially massive impact. So it’s well worth your time and money to try and acquire not just remarkable backlinks but appropriate anchor text for those backlinks as well. Week 1: The week after acquisition: Monitoring your brand mentions and links is critical. You should be doing this weekly with a tool like Mention. Why? Because you likely are getting backlinks that you don’t know about. And for an anchor text focused strategy, it relies on already acquired links. Week one starts directly after acquiring a link. In the first week, you need to make contact with the site that gave you a link. If their anchor text is “click here” or “image source,” kindly ask them to modify it. Weeks 2-4: Await response: From here on out, it’s simply a waiting game. Send follow up emails, but don’t get discouraged if they don’t respond. Don’t pester them into removing your link. Give it two to three emails and then move on. Okay. So now you know how long it’s going to take you to build links and how you can hopefully speed up the process. You know that you shouldn’t invest in SEO at all if you don’t have at least six months worth of budget to sink into link building. The good news is that ‘link building’ doesn’t have to be a complex, mysterious process. You can start by writing testimonials, publishing original data, designing an infographic, leveraging your social media signals, and paying attention to anchor text. All of these things can help you build your rankings faster than you might otherwise. But consistency is the key. The longer you can keep at it, the better rankings you can expect to see. Thanks for tips and update. God bless you for this helpful tips info. Thanks for sharing! SEO is changing with the increasing popularity of voice search using Google Voice Search, Microsoft’s Cortana and Amazon Alexa. While doing keywords research, you need to keep this in mind and concentrate on keyword phrases that give a direct answer to such questions. 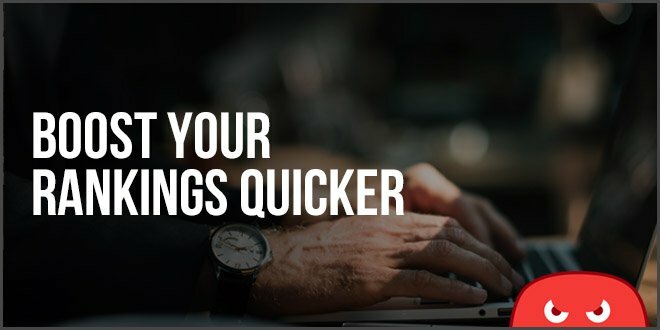 A very good article for people like me as I was thinking to hire SEO for few months as I don’t have funds for a whole year now its a no-no. Great Article. Link Building is one of the major factor in seo ranking. 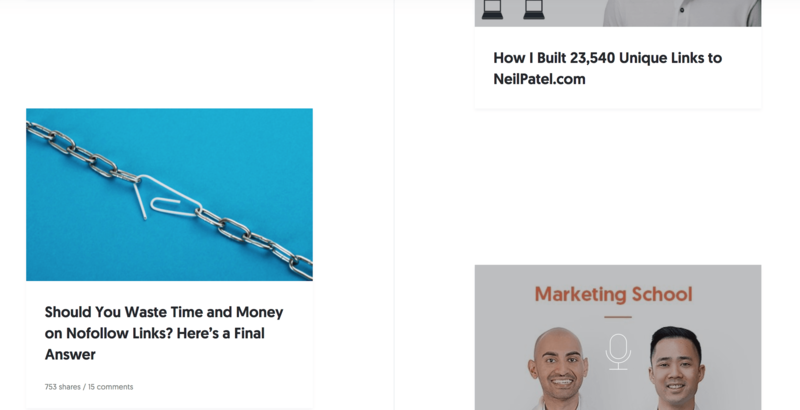 This article is really helpful for the people like me who wants to know how to do link building. Great article! 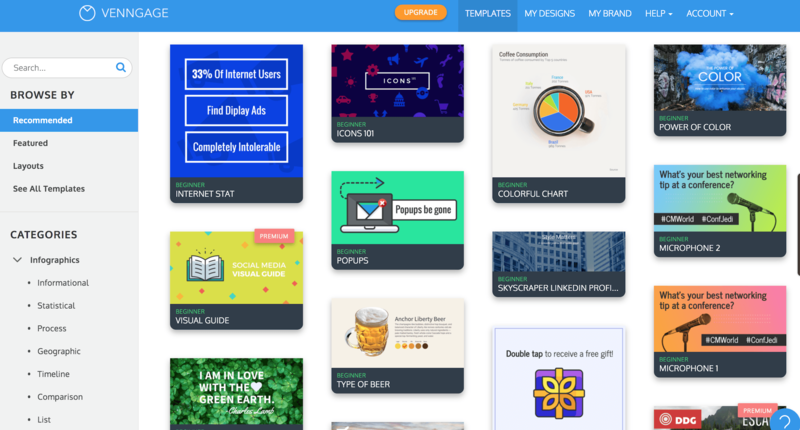 Thanks for recommending Venngage, I’ve been looking for a great tool to create infographics. Sharing on social media was another great tip, we do it almost daily, but fail to release its true importance. No one has ever mentioned how long link building is going to take, so receiving this piece of information was valuable. Neither did I know how much money you have to invest in some serious link building campaign. But thankfully there’re other cheaper ways, so to say. Speaking of which, we have an entire article written on those cheaper/free ways of link building, titled The Easiest Link Building Techniques.